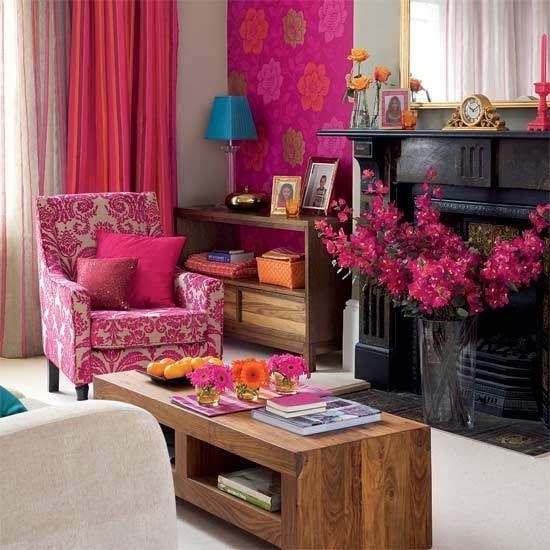 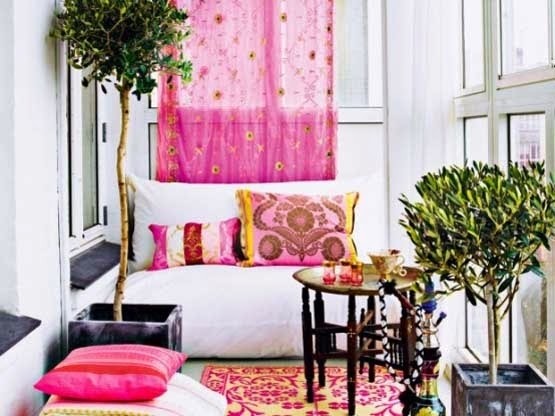 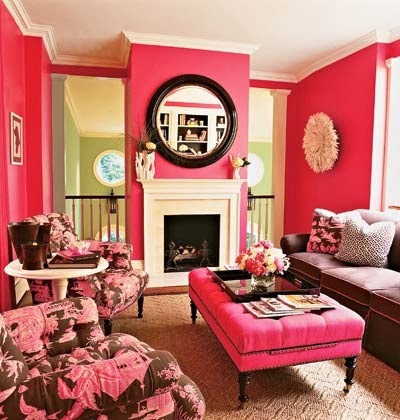 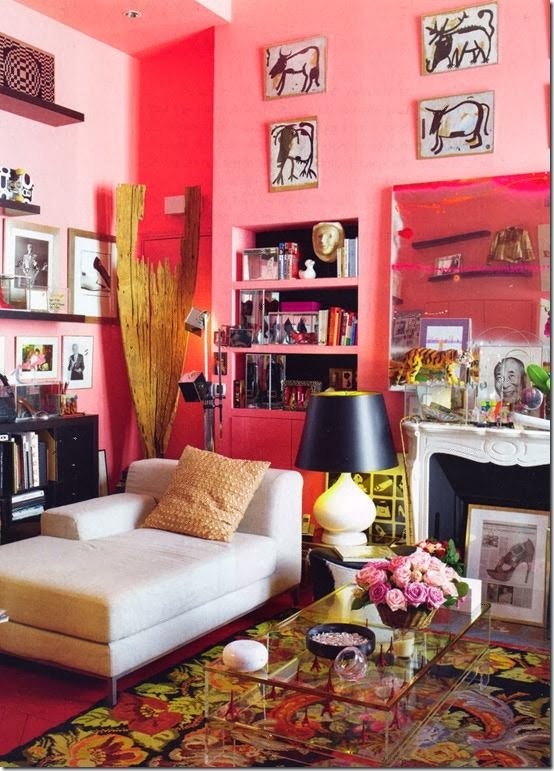 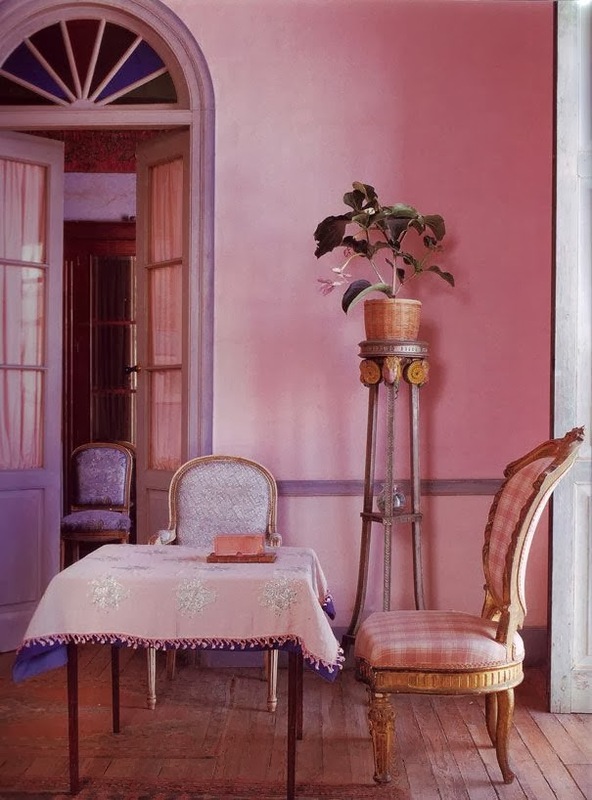 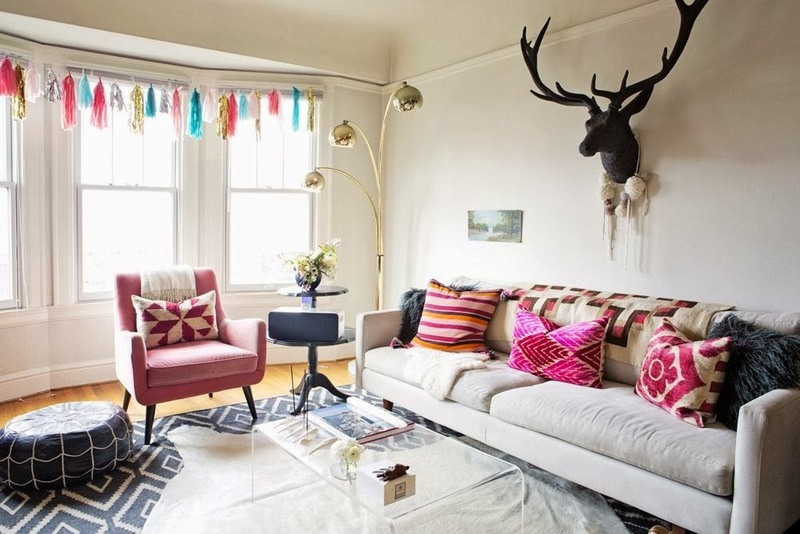 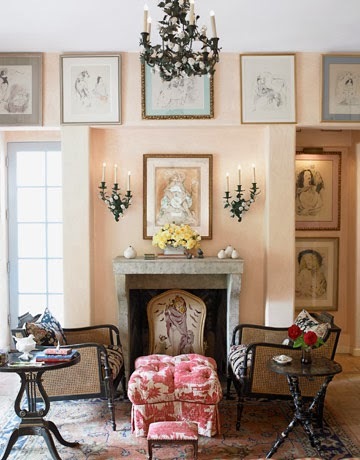 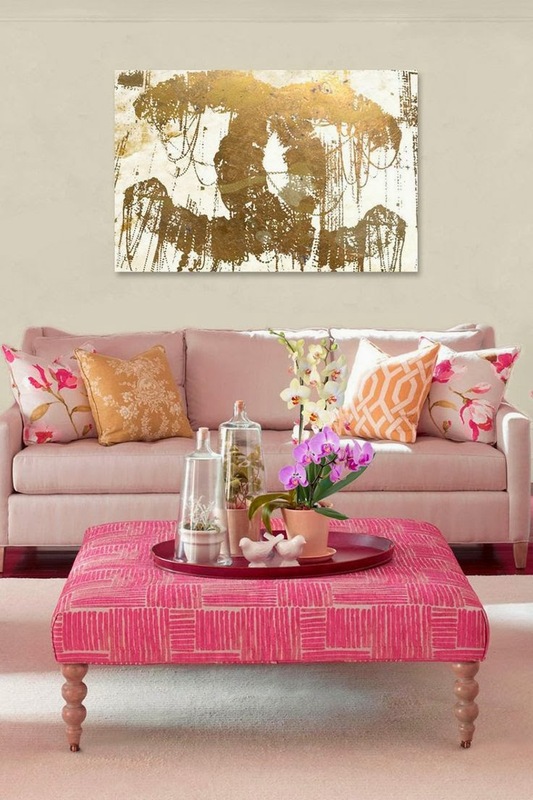 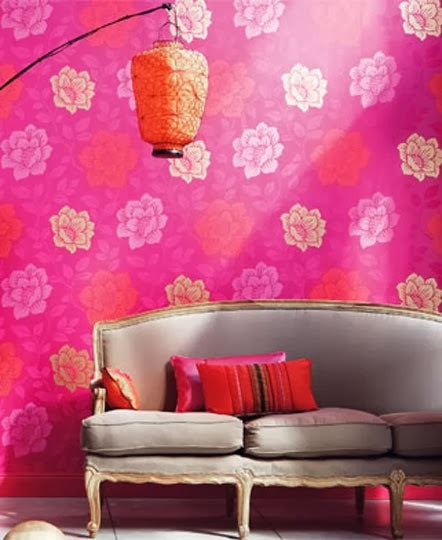 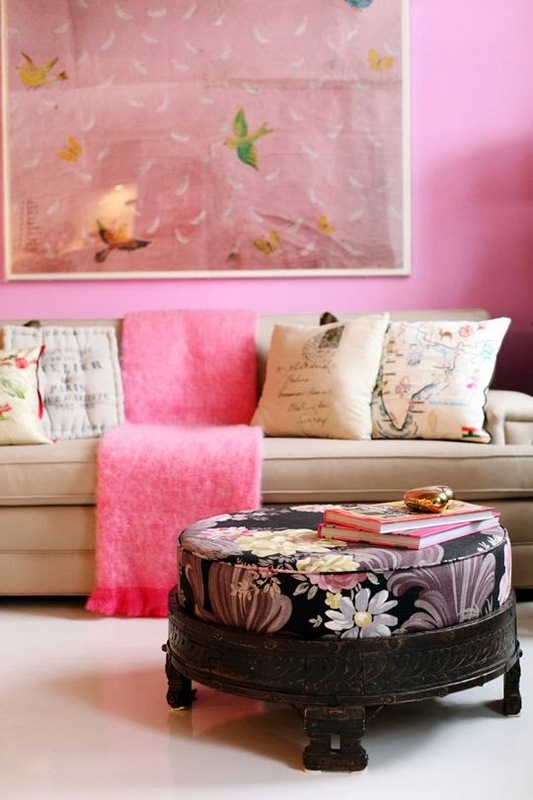 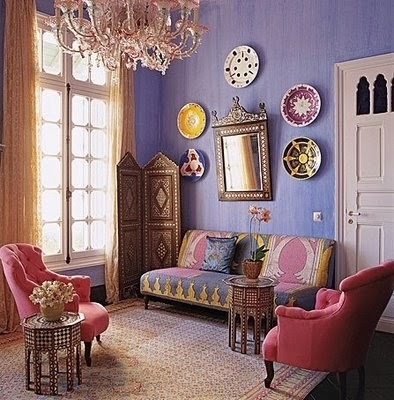 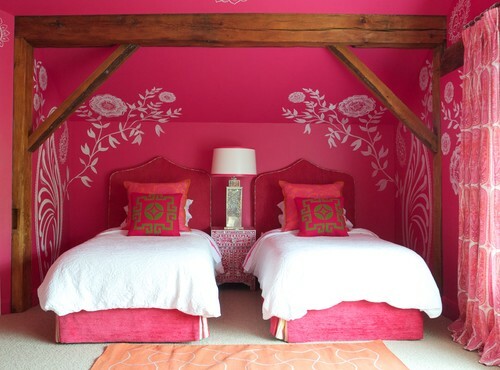 Ethnic Cottage Decor: THINK PINK! 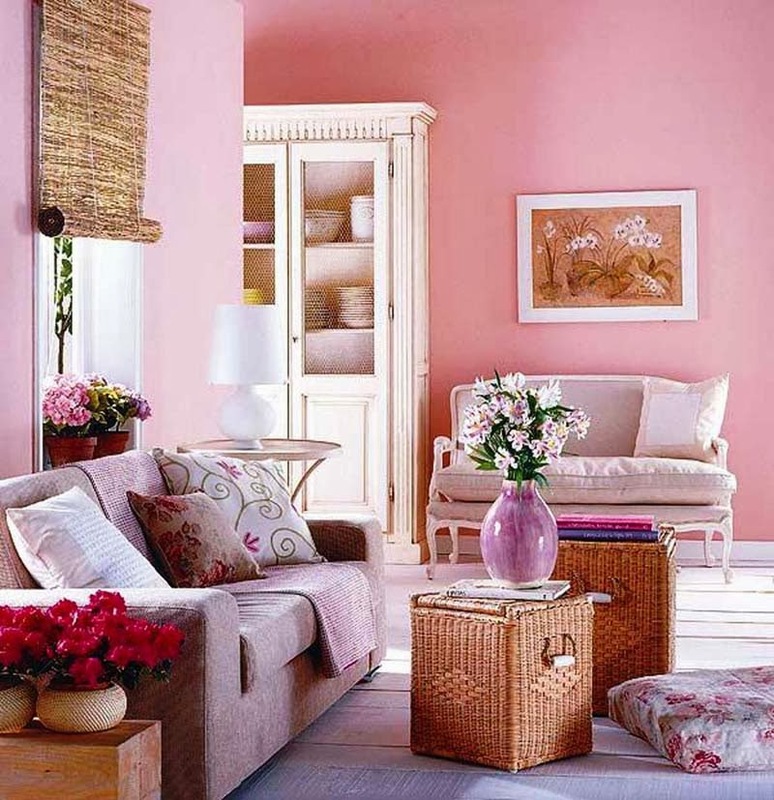 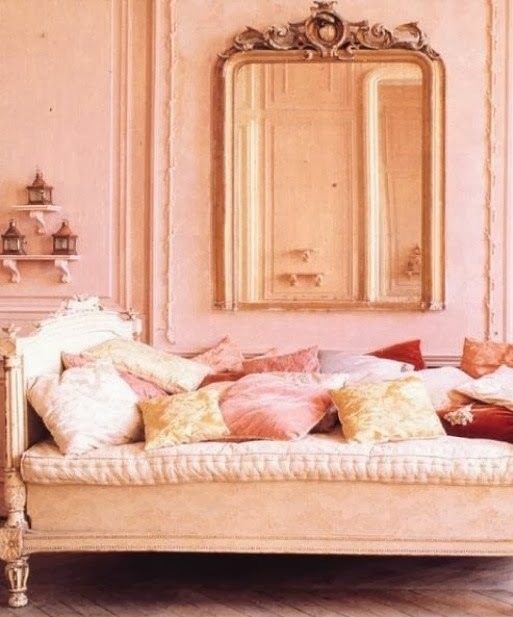 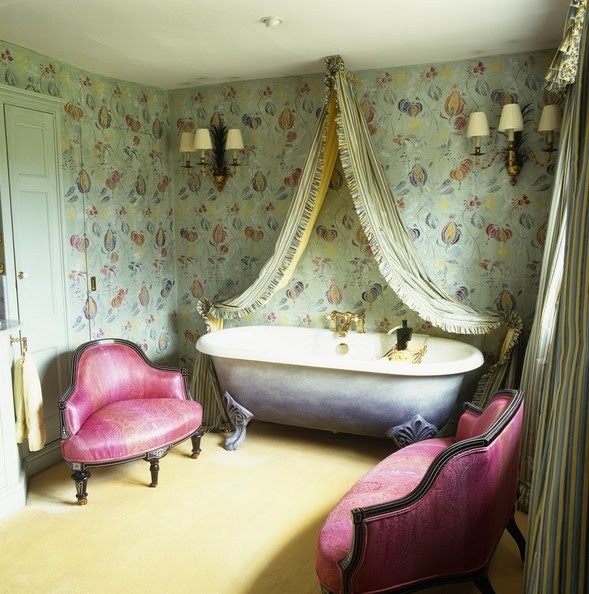 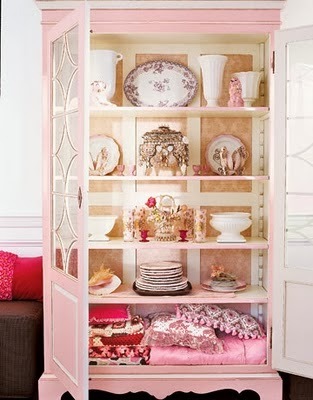 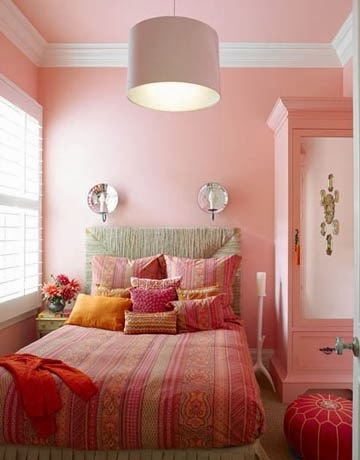 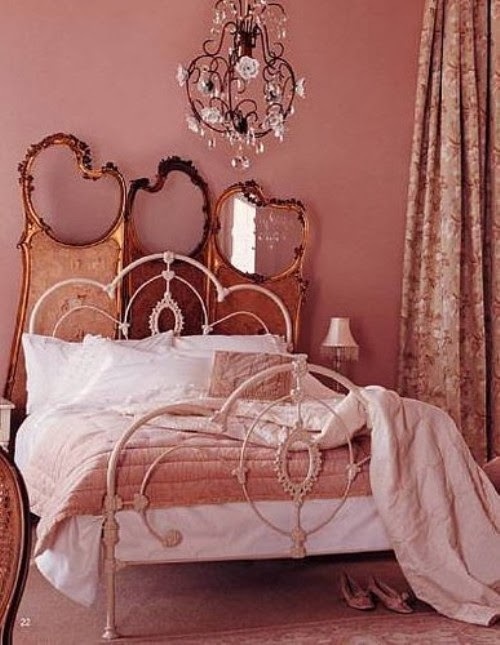 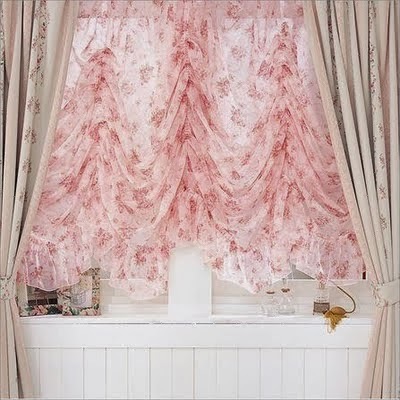 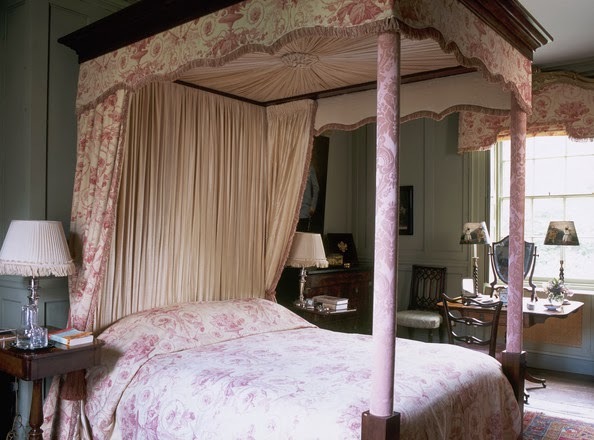 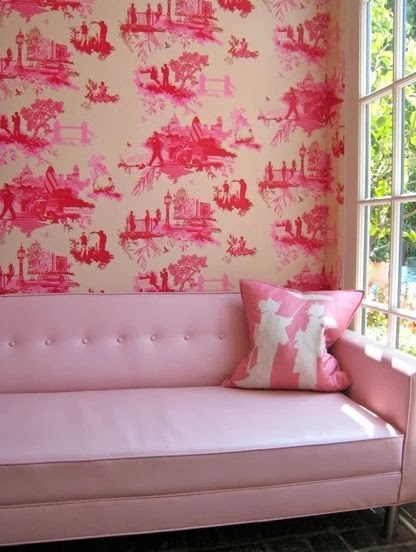 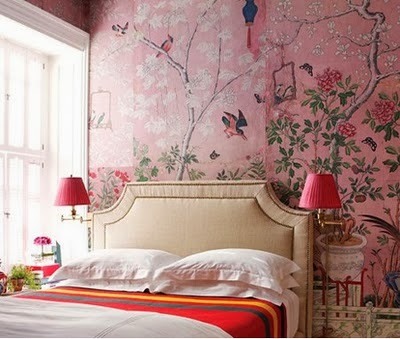 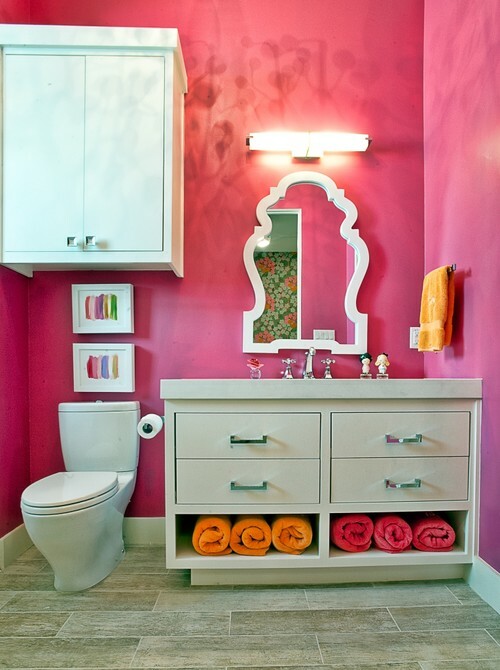 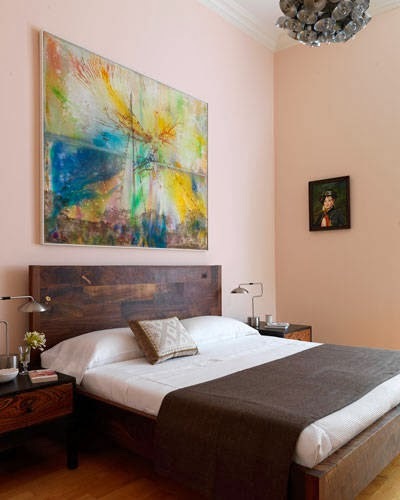 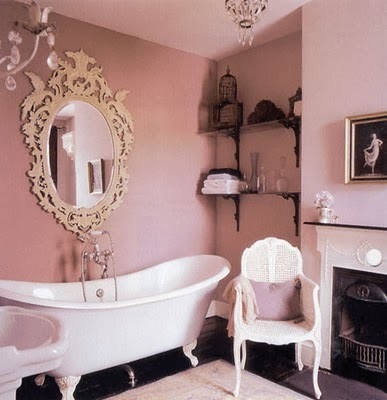 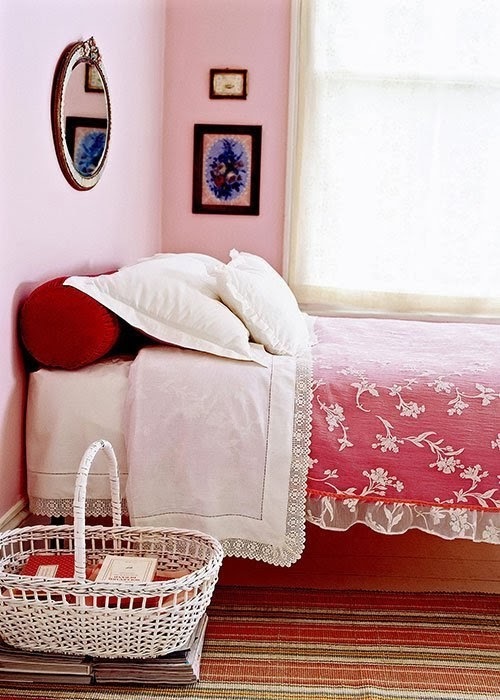 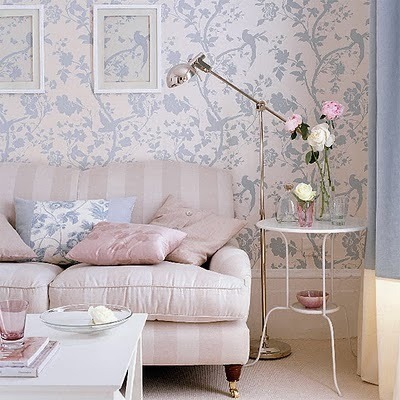 For some folks, decorating with pink conjures up little girls' rooms or Shabby Chic decor and not much else. 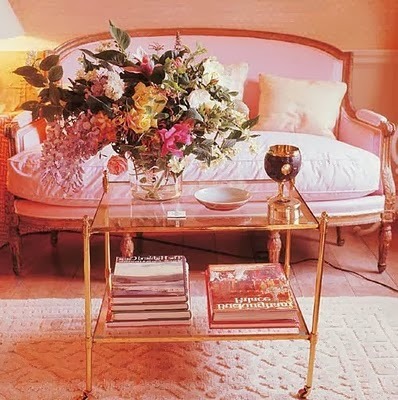 Get ready for a big surprise! 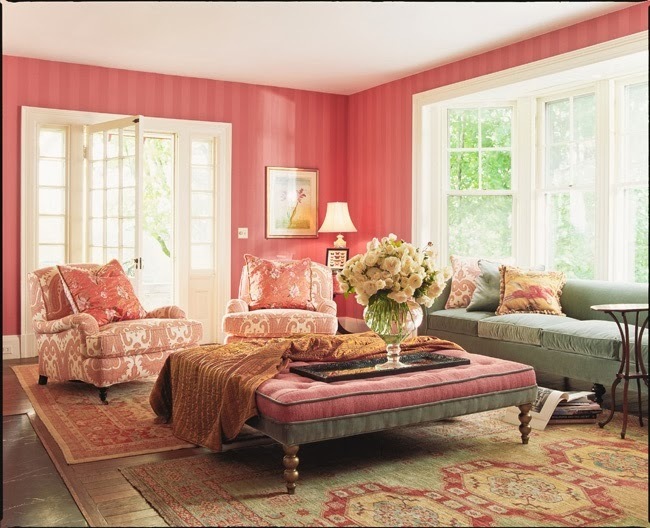 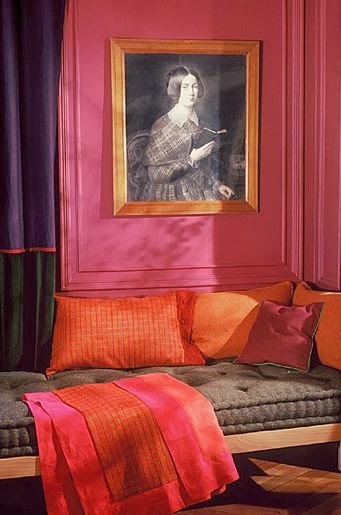 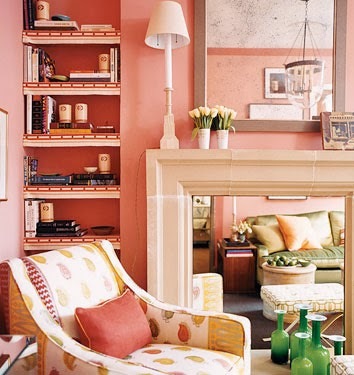 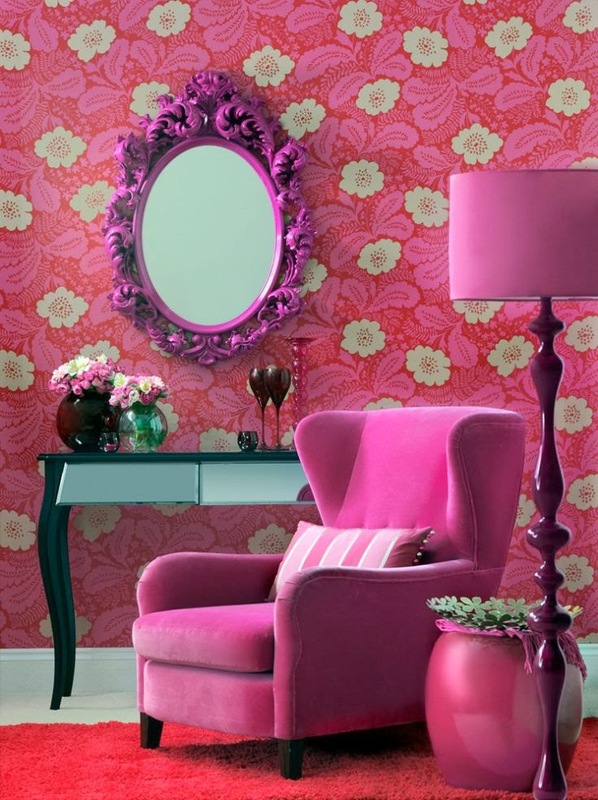 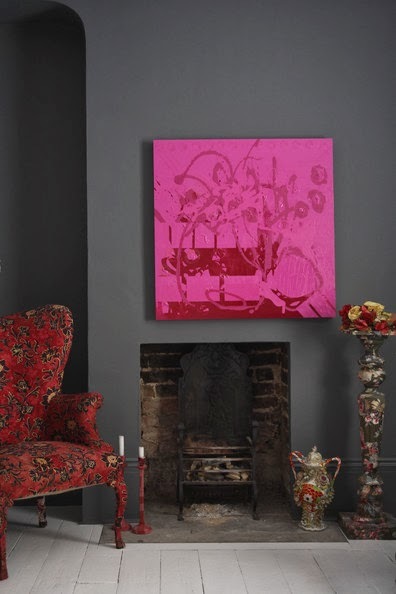 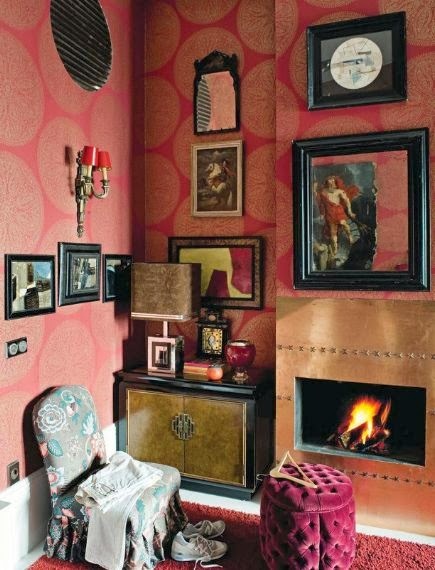 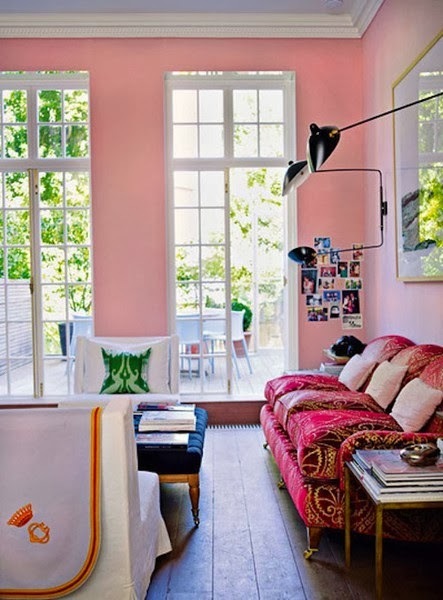 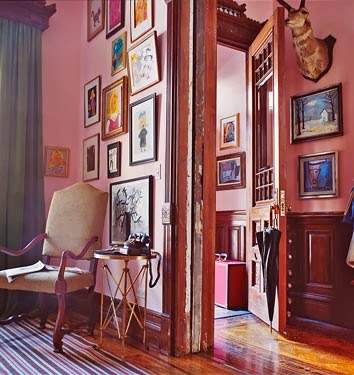 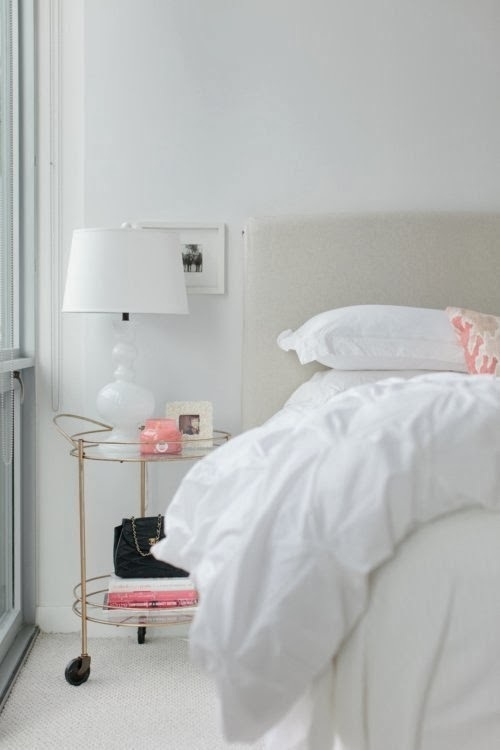 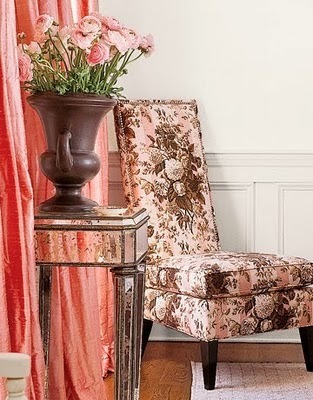 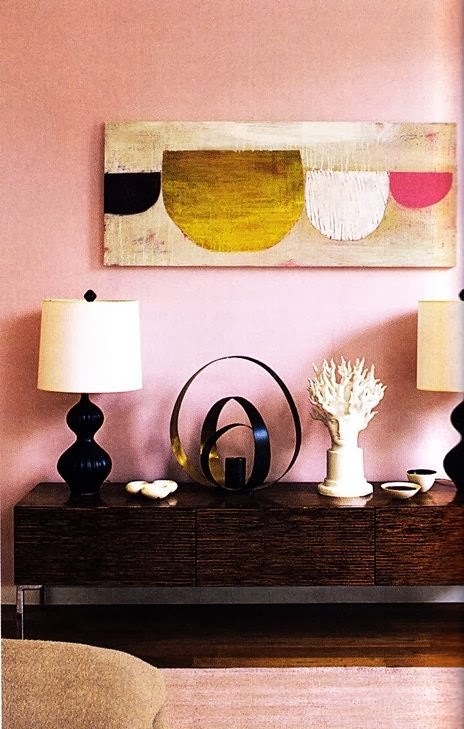 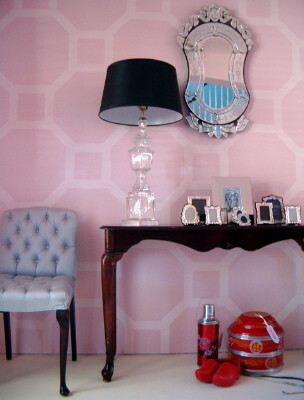 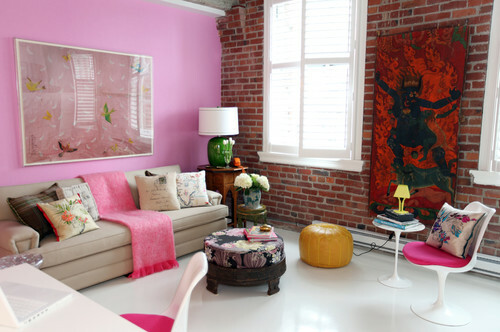 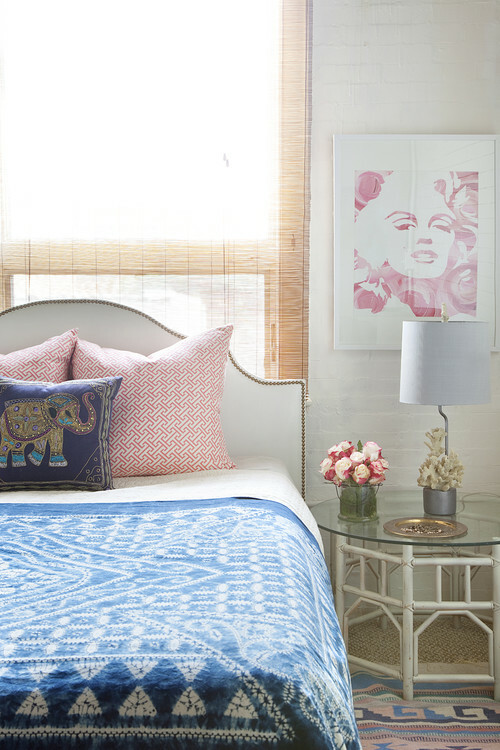 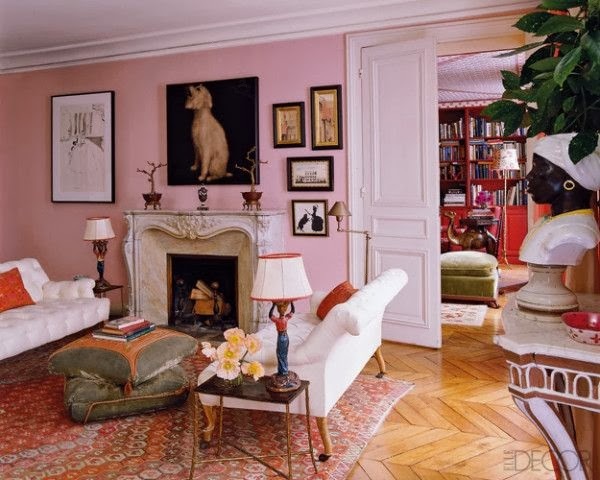 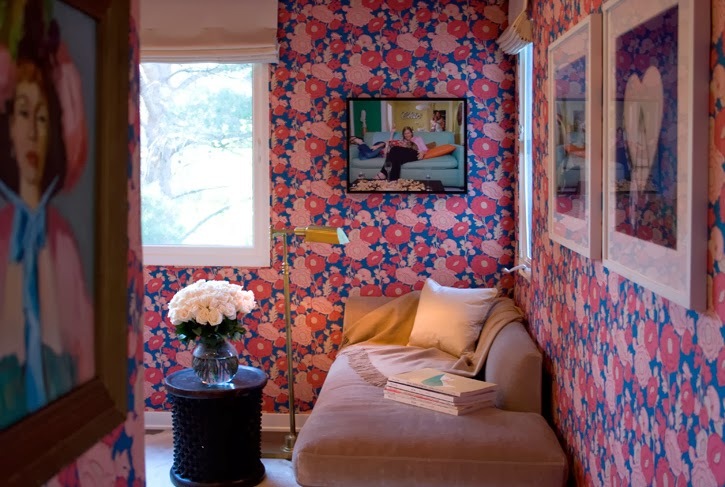 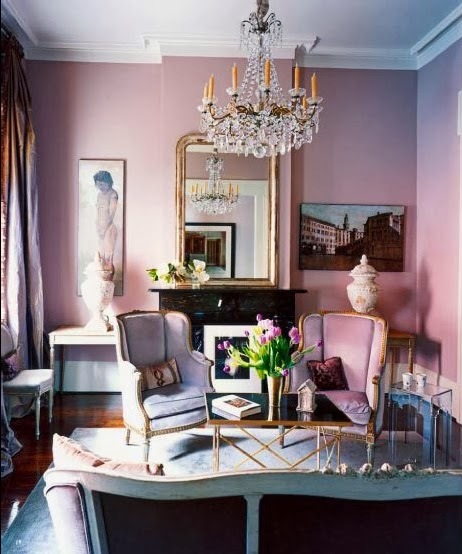 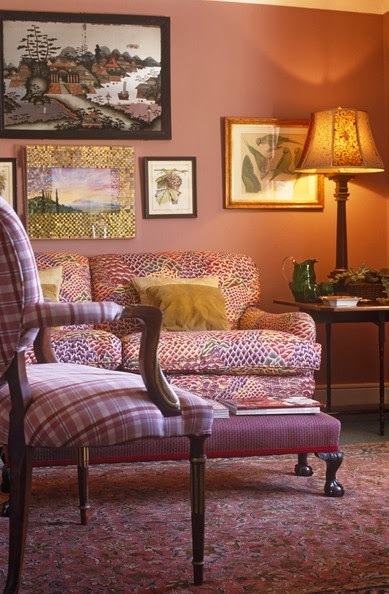 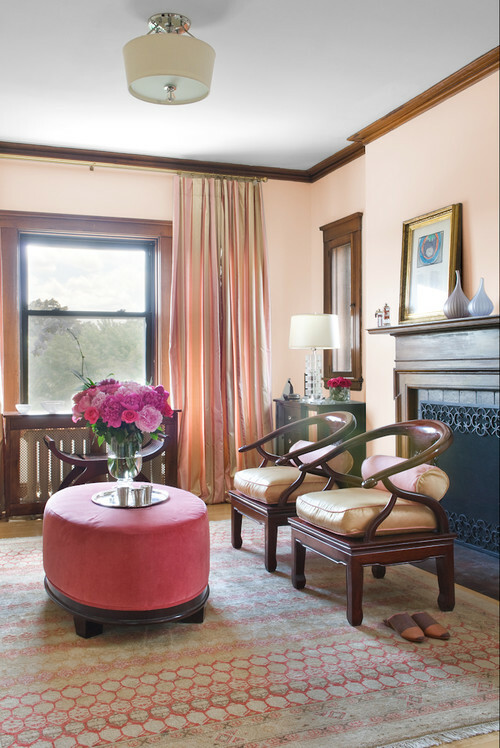 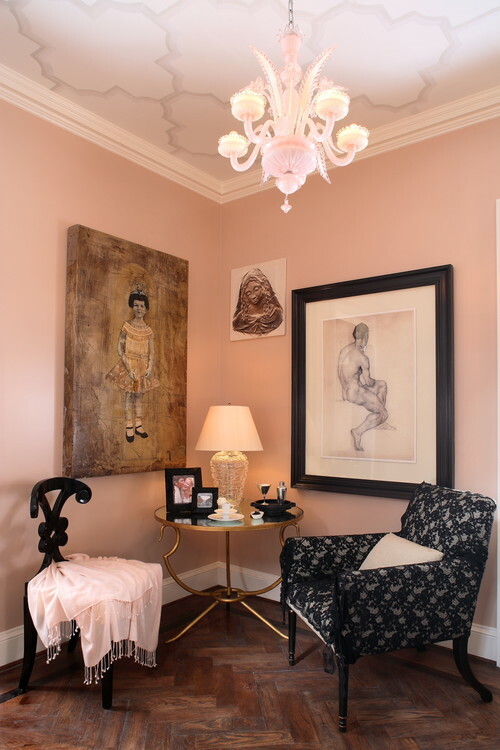 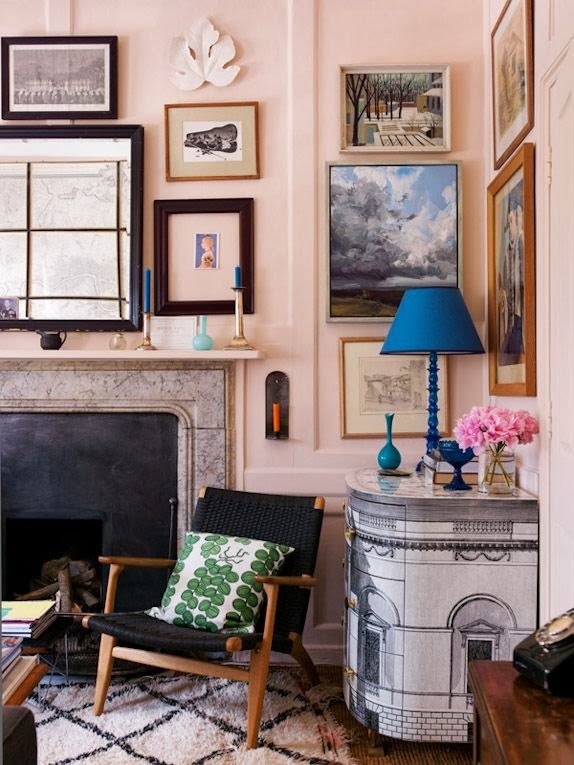 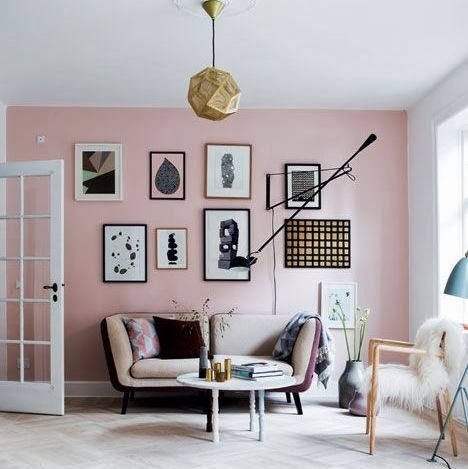 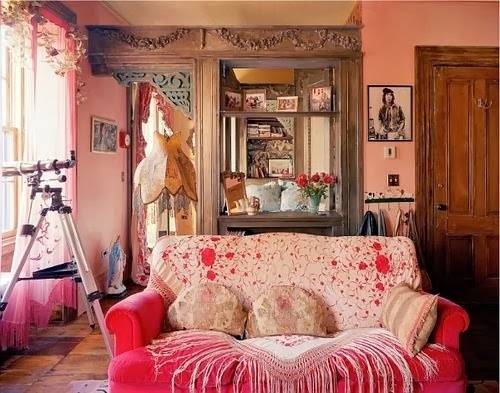 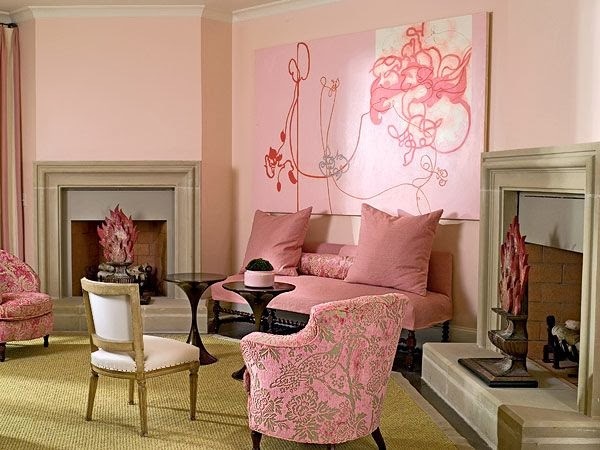 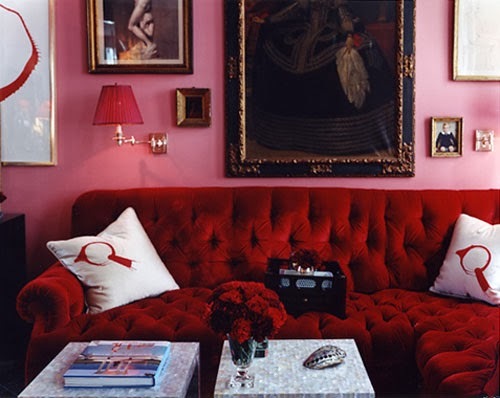 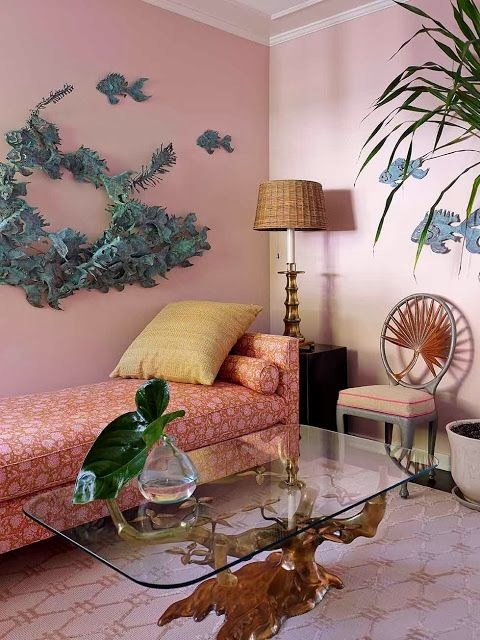 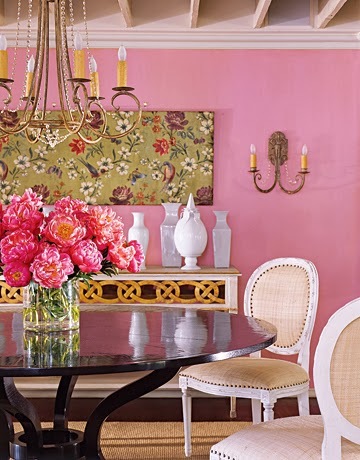 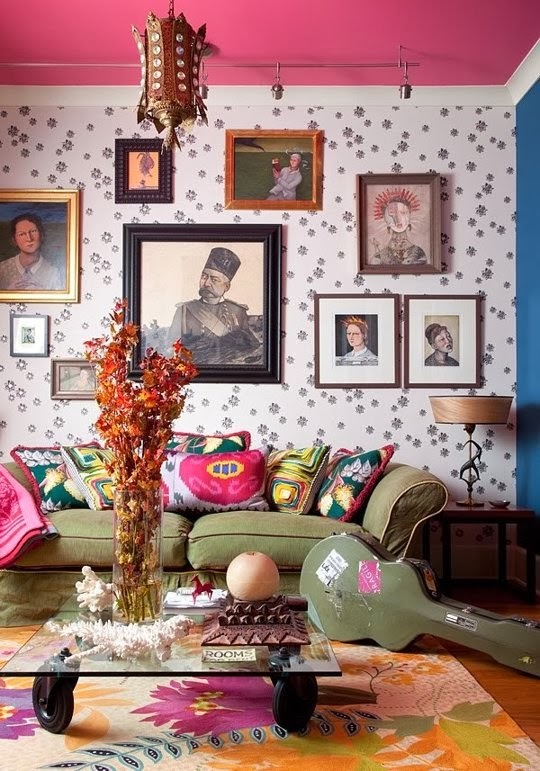 Pink may not be the new black but it can be treated as a neutral, an accent, a sophisticated declaration, and much more. 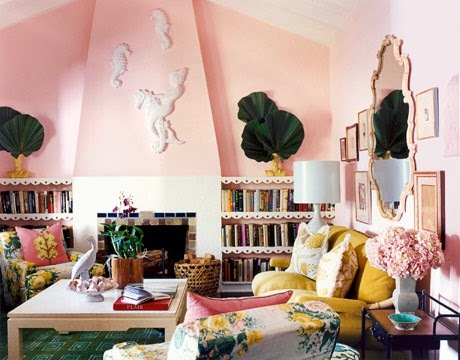 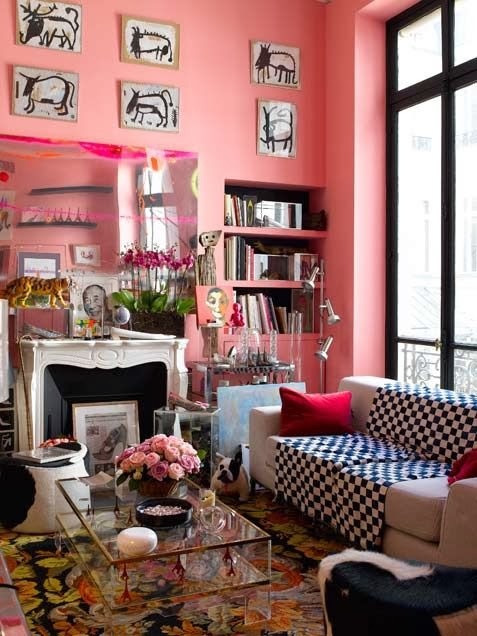 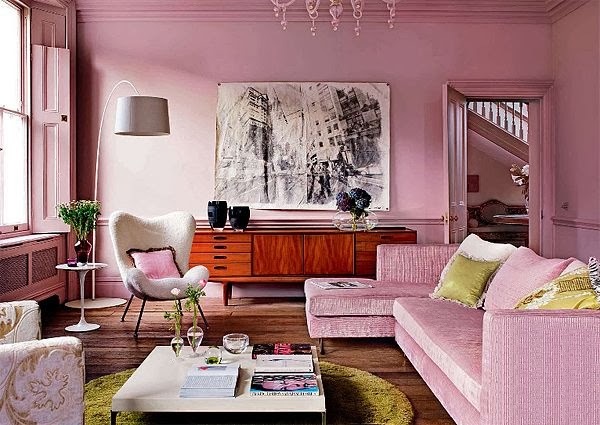 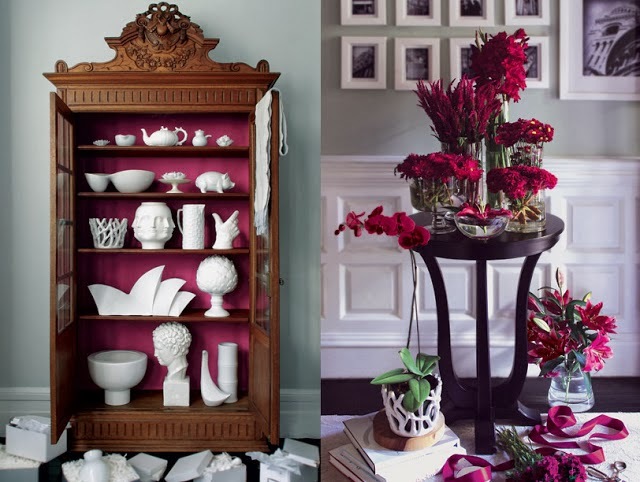 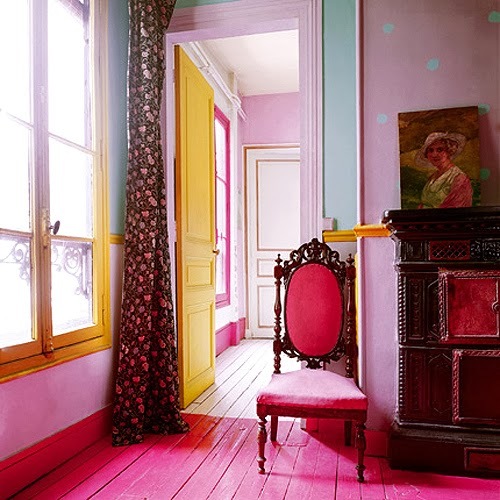 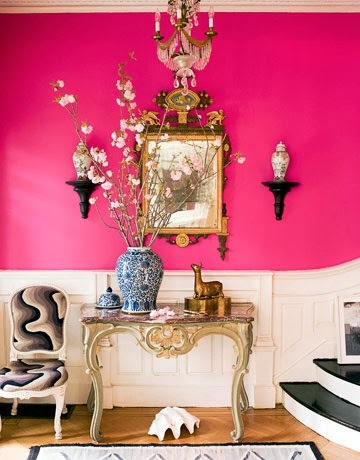 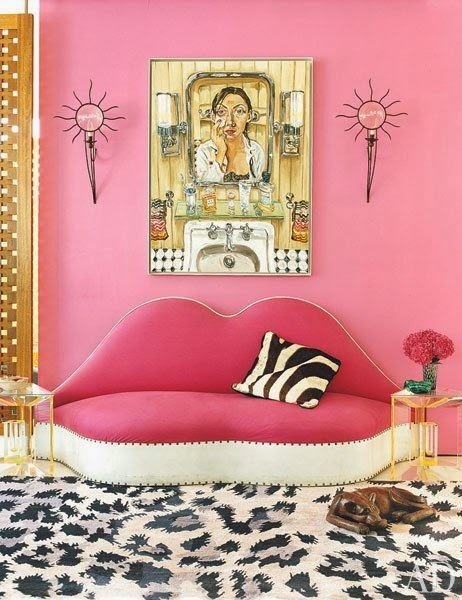 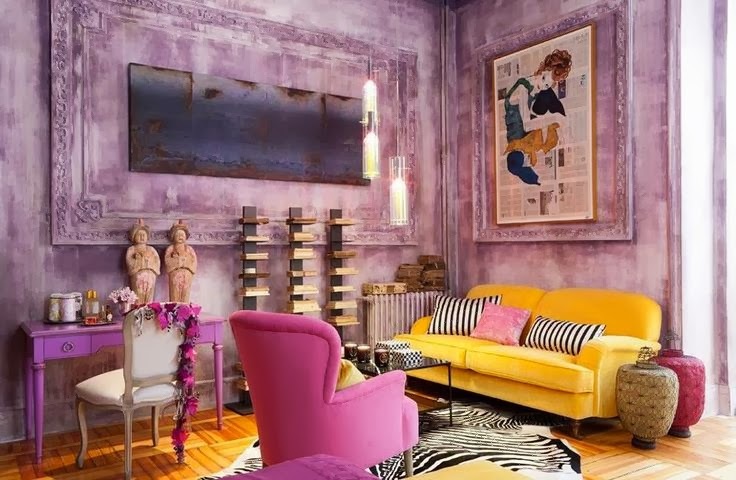 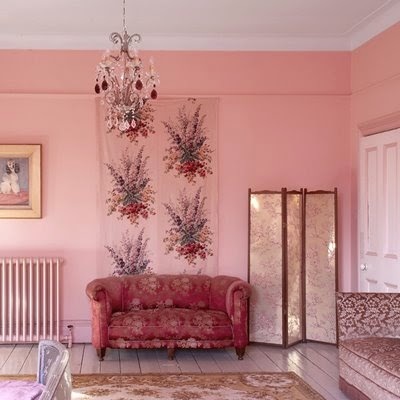 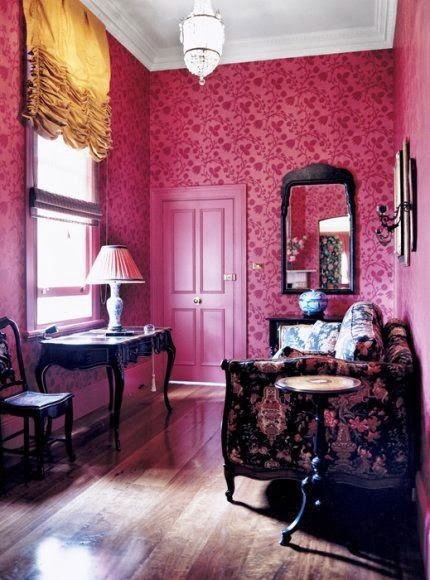 From Blush - think Julia Roberts in Steel Magnolias - to Bubblegum, from Cerise to Chinese Pink, following are some great examples of using a little pink as a complement to a lot for a shocking (pun intended) statement! 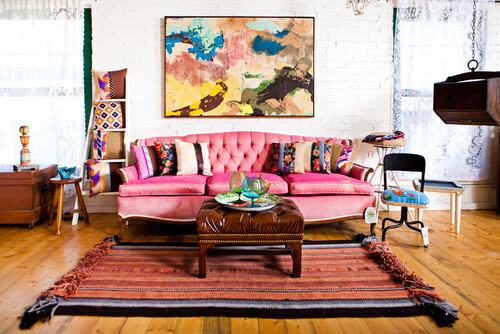 ETHNIC - adj. 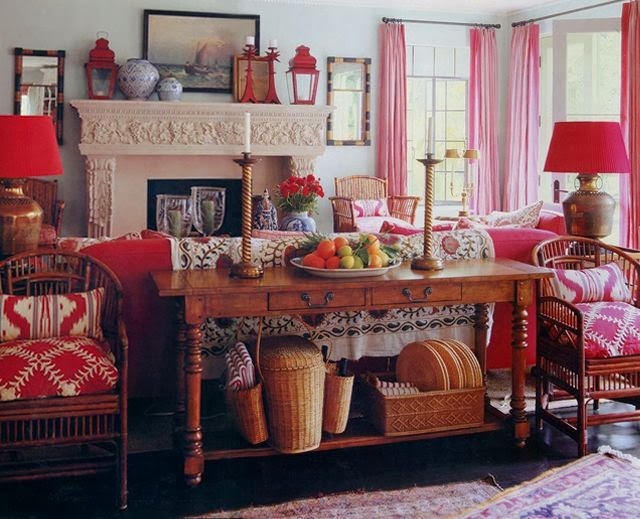 pertaining to, characteristic of, or deriving from a specific group, nation, tribe or culture ~ COTTAGE style decor is like comfort food... a warm welcome after a long, hard day. 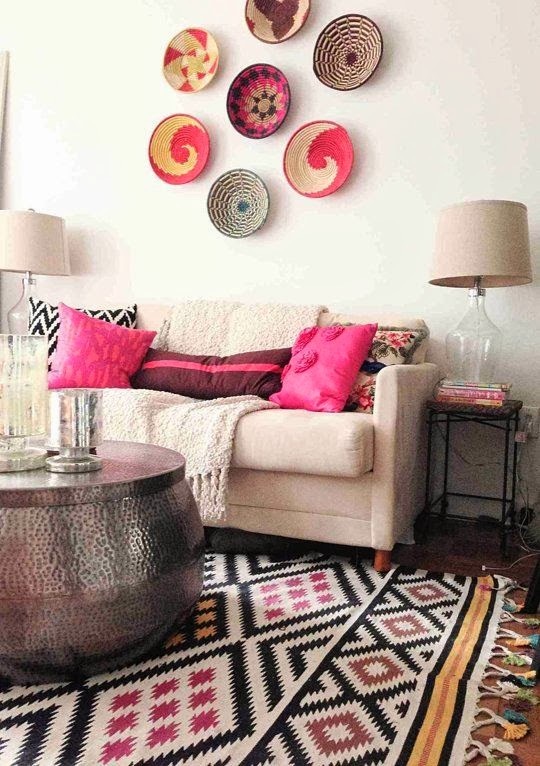 Blend well for Ethnic Cottage Decor! 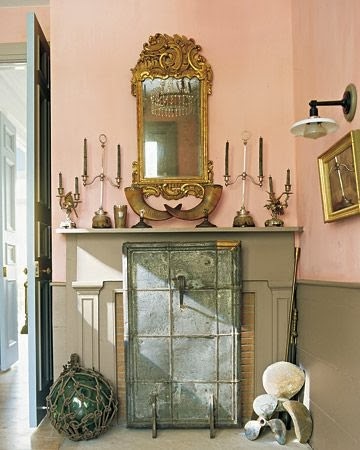 When I was a little girl my favorite crayon was Carnation Pink (closely followed by Sea Green and I thought only I had discovered that the two worked so well together). 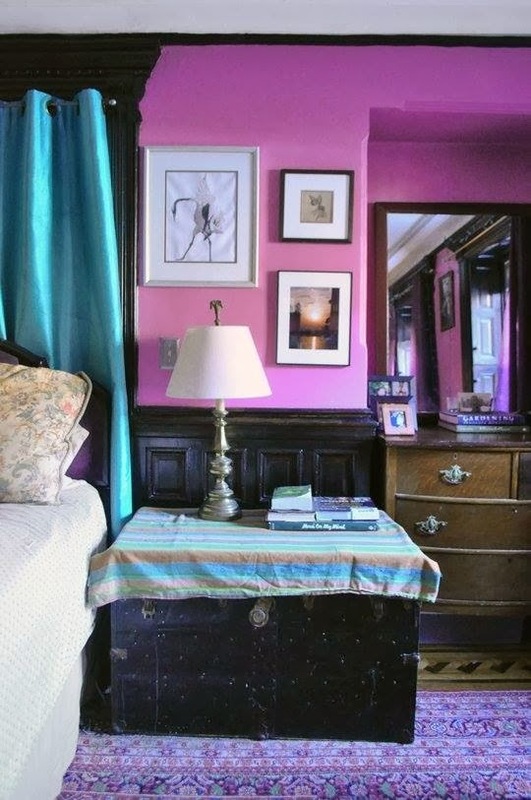 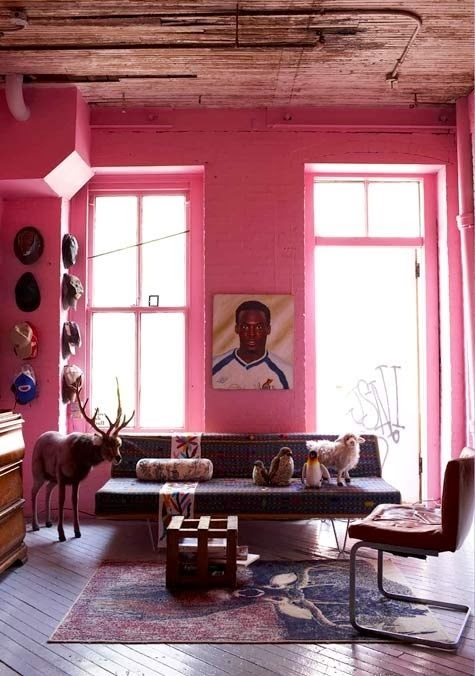 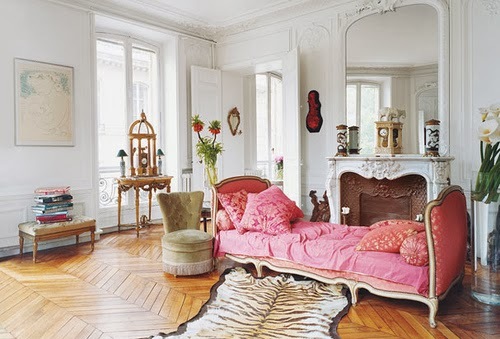 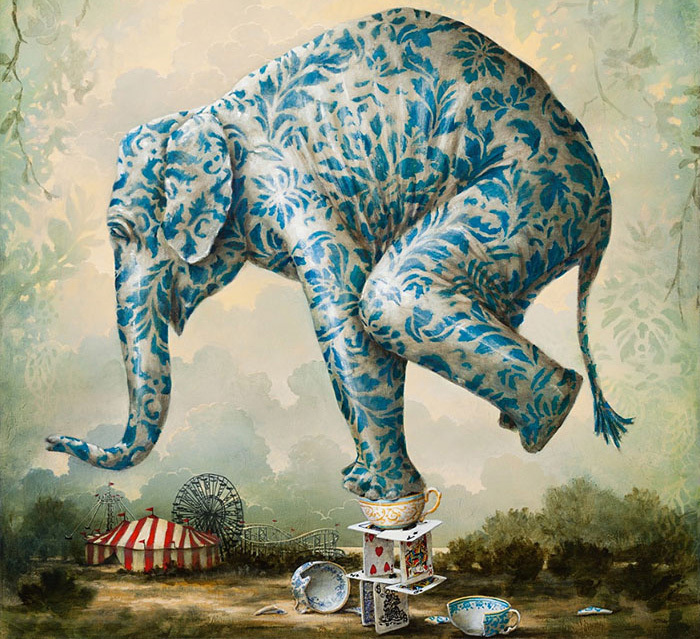 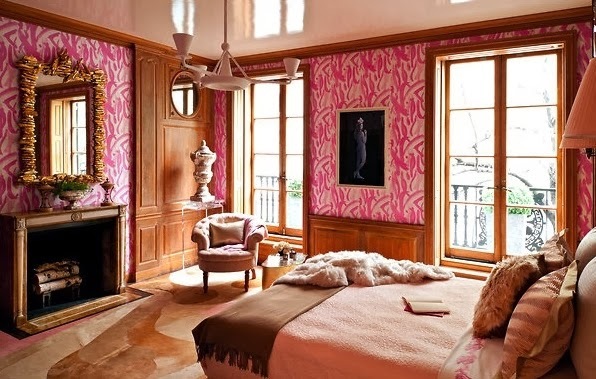 At the age of eleven my dear mother allowed me to paint my bedroom strawberry pink including the ceiling (accented with zebra prints, tell me what goes around doesn't come around). 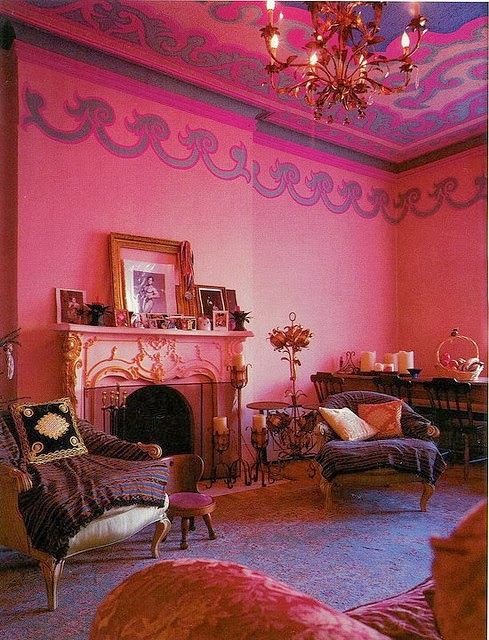 I loved waking up to that ceiling! 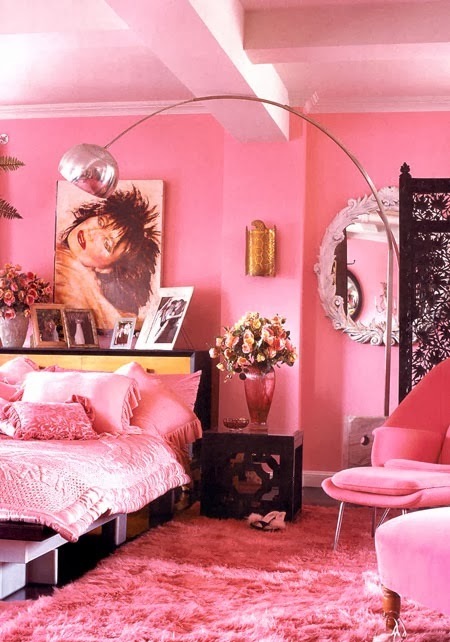 Now that I am, well let's just say well into adulthood, I am still passionate about pink. 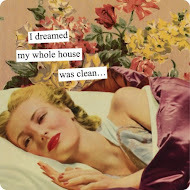 Like so many of us. 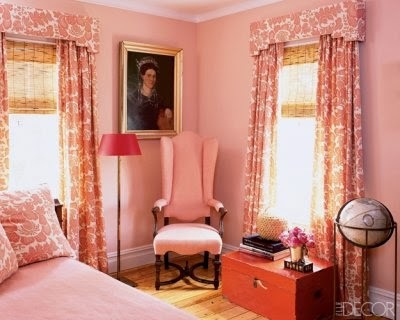 As the quintessential girly girl Audrey Hepburn said, "I believe in pink." 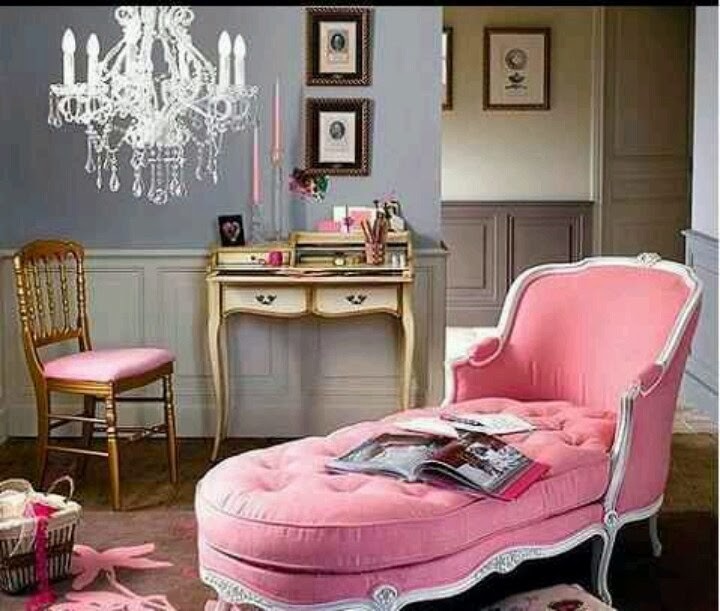 Get ready for so much more than girly...Enjoy!